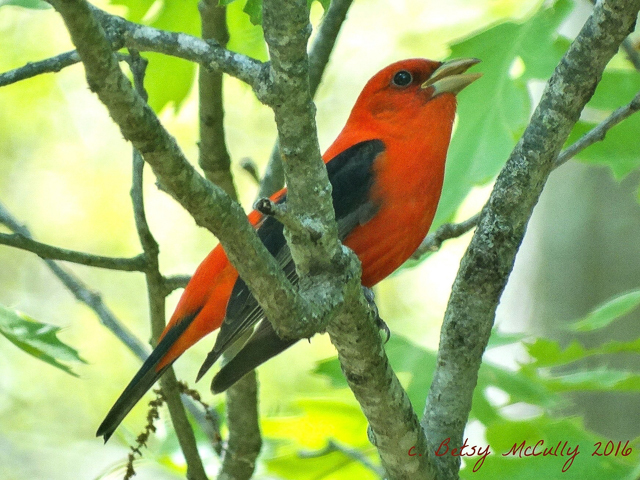 Scarlet Tanager (Piranga olivacea). Male in spring. Forests. Viewed through window pane. Breeder.